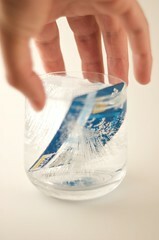 What is a Credit Freeze or Security Freeze? If you’ve been the victim of identity theft, a credit freeze is one of the best ways to stop additional fraud in its tracks. A credit freeze effectively “seals” your credit reports with a personal identification number (PIN) so that only you, and those you give that PIN to, can access your reports. With a fraud alert, whether it’s the shorter 90-day version or the much longer 7-year variety, creditors are simply warned that they should be doing a little more diligence before extending you credit. It results in a little more work on your part, asking for information that, hopefully, an identity thief doesn’t have. A credit freeze, unlike a fraud alert, is not free. The cost will vary from state to state but it’s usually less than $10 per person per bureau. Unfortunately, you’ll have to freeze at all three for this strategy to be effective. Each “thaw,” or access of your report, may also cost you some money as well. The cost itself will vary from state to state. Equifax – Link to place, temporarily lift, or permanently remove a freeze. Here is the cost matrix for a freeze and in most states there is no cost for freezing if you are an ID Theft victim, with supporting documentation. Experian – Link to Security Freeze and cost matrix by state. TransUnion – Link to Security Freeze and cost matrix by state. It’s an extreme measure, for sure, but it’s absolutely necessary if you’ve already been the victim of identity theft and a fairly strong preventative measure if you suspect you may become one.